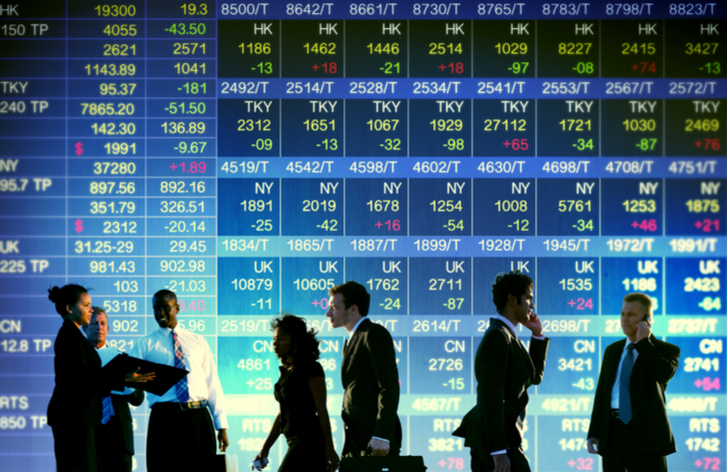 The volatility in the market over the past few weeks and months has made headlines throughout the world. Even my professional associates, who aren’t necessarily investment-savvy, asked for my thoughts and guidance. After years of robust returns, the thought of a widespread correction is jarring. Nevertheless, you still want to keep your wits about you, as this is an ideal time to consider buying stocks. Let’s address the low-hanging fruit. Since the sharp correction has negatively impacted virtually all investment sectors, you’re going to find discounted deals everywhere you look. If you were looking at particular stocks to buy but never pulled the trigger, this is your opportunity. Consider this your financial DeLorean to correct past portfolio mistakes. Granted, not all companies are going to rebound. It’s important to recognize which names are on discount, and which ones would have fallen irrespective of broader market weaknesses. At the same time, it’s also critical to retain some perspective. More often than not, the markets bounce back from corrections, even severe examples like the 2008 crash. Additionally, October has historically suffered more volatility than any other month. 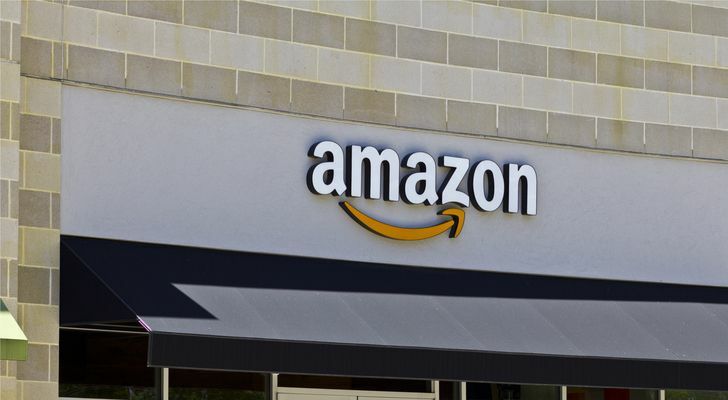 Among high-profile stocks to buy, Amazon (NASDAQ:AMZN) absorbed some of the worst losses. Since the troubles began on last Wednesday’s opener, AMZN stock dropped almost 4%. For the month of October, the e-commerce giant is staring at double-digit losses. At first, the severe volatility impacting AMZN stock is understandable. When you bring in the context that e-commerce represents 10% of total U.S. retail revenues, Amazon is the consumer’s heartbeat. Some of the commonly cited triggers of the market correction include rising interest rates and inflation. These factors directly affect consumer confidence. That said, AMZN stock has no parallel. The company has irreversibly disrupted retail. Generationally, we’re moving towards an era where young people are more familiar with e-commerce than regular commerce. Plus, Amazon presently disrupts sectors that reach beyond its core online-retail business. If that wasn’t enough, remember that AMZN stock has weathered many storms: the tech bubble, the housing and banking bubble, and the drama following its breaching of the four-digit barrier. Ultimately, this event is another blip on the radar. The high-speed wireless revolution known as 5G is finally becoming a reality. That alone is worth putting AT&T (NYSE:T) on your list of stocks to buy. 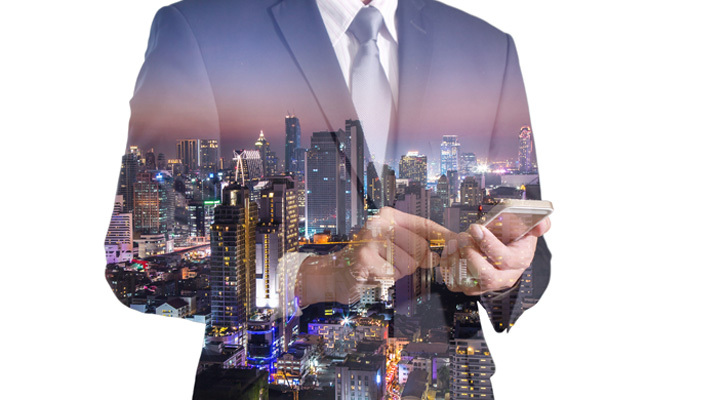 Although AT&T isn’t the first company to introduce 5G to consumers — that honor belongs to Verizon Communications (NYSE:VZ) — you shouldn’t overlook T stock based on mere technicalities. 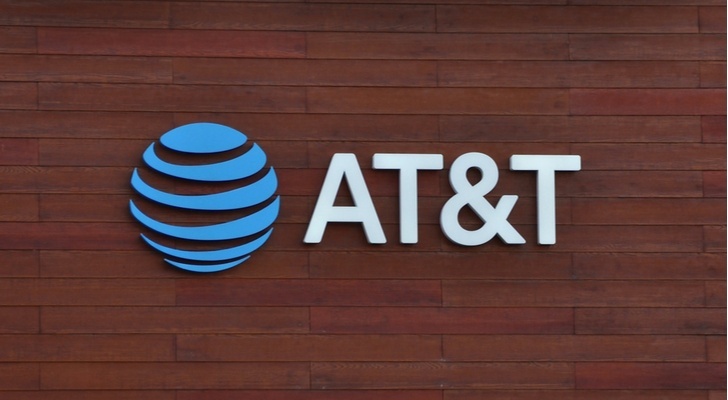 While Verizon has received prominent media coverage for their feat, AT&T will implement 5G using standards-based equipment. I don’t disagree with management’s approach, and this should benefit T stock in the longer run. Telecom engineers are still perfecting 5G technology. For instance, Verizon has yet to set up 5G capacity for mobile users. Most phones available now simply lack the necessary receptors. By taking its time, management ensures that they measure twice and cut once. Plus, once fully implemented, 5G will change the world in previously unimaginable ways. Things that were once science fiction, such as automated transportation, and next-level biometrics, will soon become reality. Bottom line? Don’t give up on T stock because of some uncomfortable turbulence. Even in the best of days, the semiconductor sector can be a volatile affair. But with the major indices dropping like they have, companies like Intel (NASDAQ:INTC) have suffered more than usual. Since last Wednesday’s opening session, INTC stock dropped 2.5%. But that doesn’t really tell the entire story. Following a mostly robust performance in the first half of this year, shares have declined nearly 8% since the beginning of July. Still, I like my chances with Intel, which is why I’m recommending it for stocks to buy and hold during this market shakedown. The company enjoys many fundamental tailwinds, including the aforementioned 5G revolution. 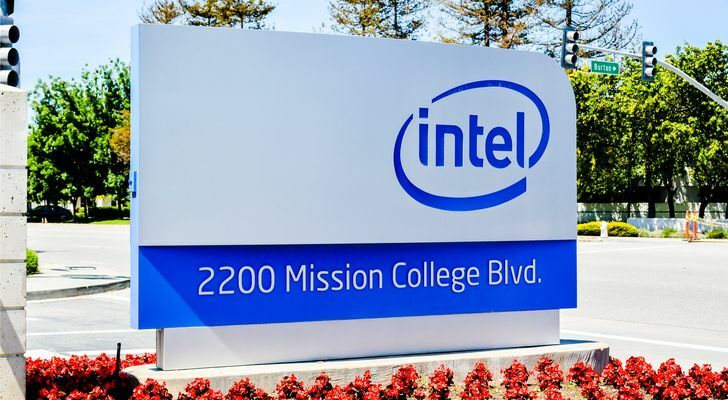 Not only will Intel partner with AT&T on high-speed wireless networks, it has other avenues to pursue, such as medical technologies and automation. Moreover, INTC stock represents smart speculation. Intel has strong profitability metrics, currently enjoys double-digit sales growth and sits on over $12 billion in cash. It also pays out a fairly-generous dividend yield at 2.7%. 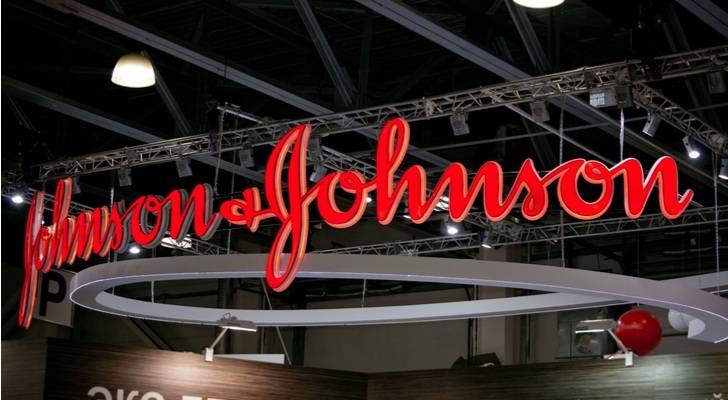 Sure, Johnson & Johnson (NYSE:JNJ) was under fire this past week due to reports it knew about asbestos in its products, but the company will be fine over the long haul. Under normal circumstances, JNJ typically doesn’t draw too much attention. As a secular play, JNJ stock gives you generally stable and predictable performance. However, for sheer capital gains, it doesn’t top most people’s list of stocks to buy. But under the current market fallout, JNJ stock is exactly what your portfolio needs. The company has a stable balance sheet, with a highlight being its $18 billion cash account. That gives Johnson & Johnson flexibility during these rough stretches. Moreover, management enjoys consistently strong free cash flow. One nagging criticism toward JNJ stock is revenue performance. Over the last few years, sales growth has been nonexistent to lethargic. But this year, the multi-varied organization has picked up the pace. That’s helped in no small part by its lucrative drug pipeline, many of which are in late-stage clinical trials. The other reason why I like JNJ stock over other healthcare stocks to buy is the payout. At 2.8%, it’s not something to ignore, especially when so many names are falling. Industrial companies like Praxair (NYSE:PX) may not strike most investors as stocks to buy and hold during a sharp correction. After all, anybody who has turned on a computer over the past eight years can see that we’re moving towards an information-based economy. But PX stock has a distinct advantage during bearish phases because the underlying company touches almost every industry. Its core chemical-service businesses provide necessary components for various industries, including aerospace, electronics, and healthcare. Praxair also plays a prominent role in traditional sectors, such as welding, materials processing and even food and beverage. Essentially, the entire economy has to shut down before PX stock is taken out to pasture. That’s why I’m not especially perturbed that shares lost 3% since last Wednesday’s opener. Nor am I getting bent out of shape that the company has dropped almost 6% for October. Praxair has started to gain traction after disappointing revenues over the past three years. I also dig its 2.1% dividend yield, which is a nice bonus during this corrective phase. Rising interest rates are not helpful to the consumer economy. 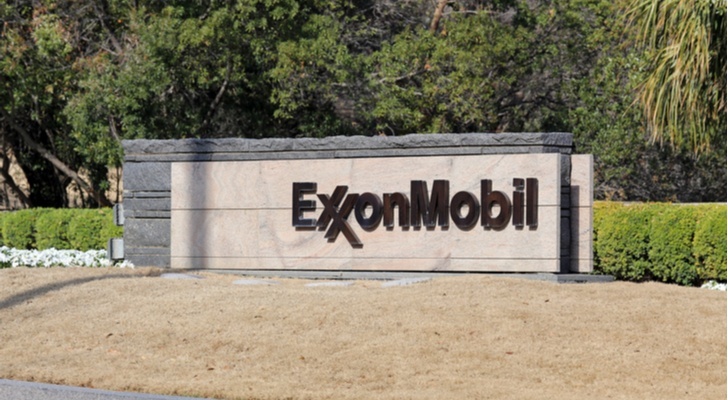 Higher borrowing costs disincentivize spending, which for Exxon Mobile (NYSE:XOM) ultimately translates into lower demand. Moreover, if the market correction worsens, we could see companies tighten their hiring spree. Again, that’s a net negative for XOM stock. Clearly, the markets feel the same way. Just on Wednesday last week, XOM stock gave up 2.5% of equity value. So far this month shares are rapidly approaching 5% losses. We’re also seeing similar declines throughout the oil segment. However, the bigger issue is supply. With the Donald Trump administration playing hardball with Iran regarding its nuclear program, that restricts access to one of the world’s top oil producers. Since this situation likely won’t find a resolution any time soon, oil prices will rise. That of course is a tailwind for XOM stock. Plus, thanks to the broader market selloff, Exxon Mobile is now at a more reasonable price point. Given its 4% dividend yield, XOM stock looks mighty attractive in these shaky times. Every one of the aforementioned stocks to buy have been hit hard due to last week’s selloff. Barrick Gold (NYSE:ABX), though, bucks this trend, and not in an insignificant manner. Since last Wednesday’s opener, ABX stock has jumped into double-digit territory. For the month of October, shares are up 12.5%. Not only that, Barrick Gold pays out a 1% dividend. Okay, it’s not the most generous yield. However, you’re getting capital gains and passive income in a bearish phase, so what’s not to love? Clearly, ABX stock has opened many eyes on Wall Street. That said, I also understand the many investors who are hesitant. I’ve covered many sectors and gold is one of the most disappointing. You’d figure market sectors are like broken clocks: you’re proven right at least twice a day. Unfortunately, precious metals have not performed to expectations, and you can see that through ABX stock. I hate to use this phrase but this time could be different. Geopolitical tensions have exploded everywhere, and now, President Trump’s most conspicuous “accomplishment” is under fire. Admittedly, it’s risky, but I also firmly believe now is not the time to give up on ABX stock. As of this writing, Josh Enomoto is long gold bullion. Article printed from InvestorPlace Media, https://investorplace.com/2018/12/7-stocks-to-buy-and-hold-through-the-market-selloff/.